This post is applicable to customers using the VMware vCenter Server Appliance (vCSA) 6.7. Update: This KB indicates VMware Engineering is aware of the issue and has been fixed. The workaround detailed below may not be supported, so implement it at your own risk. vCenter Server Appliance 6.7 deployed and in use. vSphere Client System Configuration reports Node Health is Degraded. Access this page from Administration, Deployment, System Configuration. vCenter Server Appliance VAMI Health Status reports an Alert for Storage: “File system /storage/archive is low on storage space. Increase the size of the disk /storage/archive.” Access this page from Summary, Health Status. VMware has not created an updated KB article explaining how to remediate this particular issue. SSH into the vCSA and login as root and execute the “shell” command to get shell access. Run the “df -h” command and verify the “/storage/archive” mount is at 90+% of use. 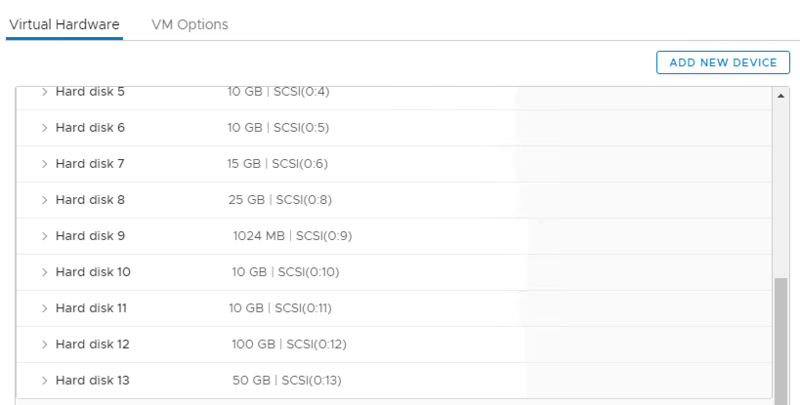 Access the vCenter Server that the vCSA instance is running on and increase Disk 13 of the vCSA VM Hardware by a significant amount. 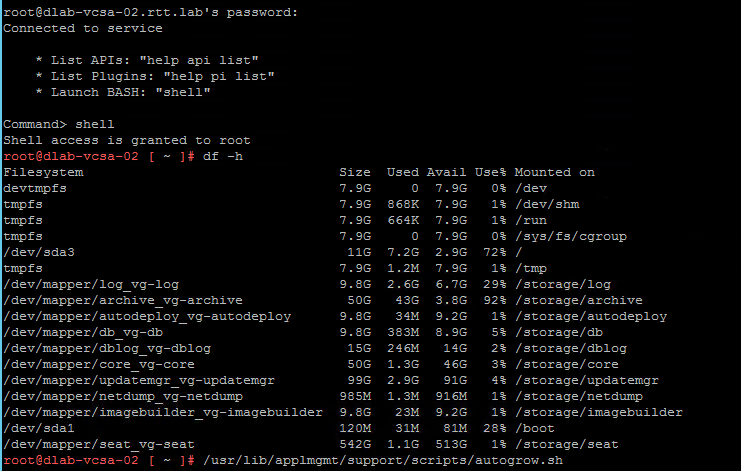 In the SSH session to the vCSA, run the autogrow script “/usr/lib/applmgmt/support/scripts/autogrow.sh”. Run the “df -h” command and verify the “/storage/archive” mount Use percentage has decreased. After some time has passed, verify the vSphere Client System Configuration Node Health is “Good”. Verify the vCenter Server Appliance VAMI Health Status for Storage is “Good”. In vSphere 6.5, the vCenter Server Appliance has 12 vDisks, in vSphere 6.7, this has increased to 13. The 13th disk is used for the /storage/archive volume. My vCenter is 6.7 build 11338799. I had to increase disk 4 from 50GB to 90GB. Increasing the size of disk 13 caused /storage/dblog to be increased.